Now, here comes former Secret Service agent Dan Bongino, who served under both President George W. Bush and Obama. 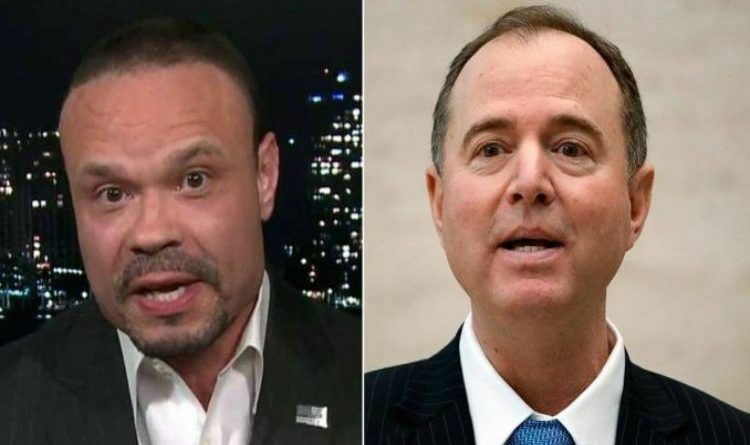 On Monday, Dan Bongino appeared on “Fox & Friends”, where he called Democratic Rep. Adam Schiff of California a “fraud and a liar” for pushing a false narrative of the Russia investigation. Via The Daily Caller: “Fox & Friends” played a clip of Schiff claiming President Donald Trump is acting as if he’s been “compromised” by the Russian government and Bongino responded by calling Schiff’s credibility into question. Bongino said Schiff has been lying to the American people and is trying to lend credence to a “hoax,” in an attempt to derail the Trump administration. “I think Schiff’s a fraud. A liar, a disgrace. He’s an embarrassment to himself, the Congress, the country,” Bongino said. Thank you, Dan Bongino, for your unwavering honesty and dedication to the American people. Schiff is exactly what the Liberal Democrats are about. Calling him a fraud and a liar is probably the biggest truth of the year. He’s a fraud and liar to everyone except the Democrat Party. First elected in ’02 and promptly voted for the Irag War, Adam Schiff has twice offered legislation to revoke the AUMF (war authorization) that permits action against ISIS. He was also a leading impediment to the Benghazi investigation. He hates America and Americans.